You can visit biometrika.it without revealing any information about yourself. There are times, however, when we may request information from you, such as your name, address and e-mail address. 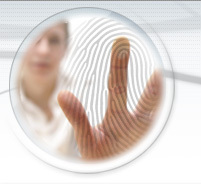 Any information provided by you will be used for BIOMETRIKA Srl 's purposes only. Your information will not be shared with individual or other companies [such as direct mail organizations or other third parties] unless required by law. However, BIOMETRIKA Srl may need to provide your name and delivery address to third parties that BIOMETRIKA Srl uses for delivering specific services to you (such as support services or shipping purposes when you ask us to send something to you). BIOMETRIKA web site uses technical cookies only: under the Article 122, paragraph 1, of the Code for the Protection of Personal Data (Legislative Decree . N . 196/2003 ), technical cookies are those used for the only purpose of "transmitting the communication over an electronic communication network or, if strictly required from the provider, of a service of the information society explicitly requested by the subscriber or user to provide the service". BIOMETRIKA web site uses Google Analytics cookies with IP anonymization. This service collects anonymous information about every visit to our site by tracking partial IP addresses on an aggregate basis. We use this information only to determine how to make future visits more convenient and productive for our users. BIOMETRIKA web site can be browsed anonymously. It is possible to install a browser plugin that disable Google Analytics: visit this page to disable Analytics.